The latest Cummins-powered Kenworths in the Acacia fleet are meeting expectations in terms of fuel economy. Angelo Mezzomo has been in business 18 years operating as Acacia Transport – a Sydney-based fleet today comprising 20 linehaul trucks. “We’ve built up our customer base mainly in regional NSW, carting fruit, vegetables, dairy products and fresh food,” he says. A fully qualified diesel mechanic, he worked with his father in his early years, repairing trucks, tractors and other machinery. Deciding he wanted a new challenge, he bought his first truck in the mid-’90s, a Mitsubishi rigid that he used to cart nursery products. Hence the name of his transport business, derived from the acacia plant. 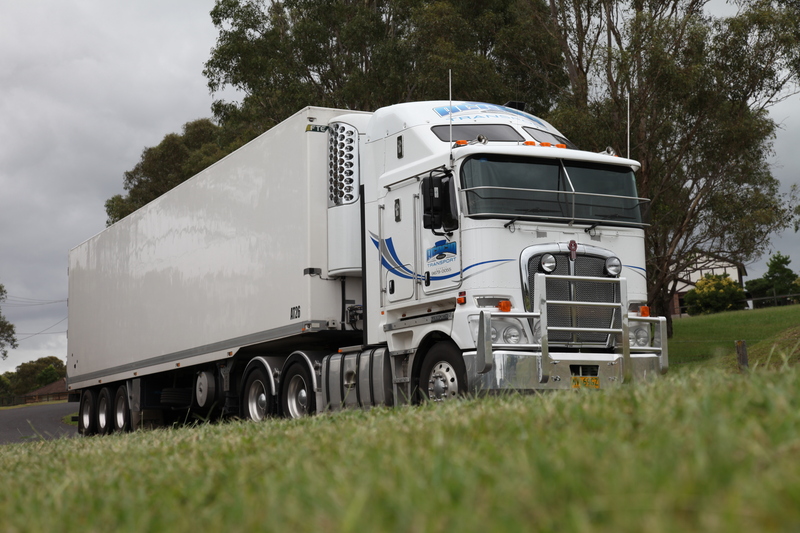 By the late ’90s Angelo Mezzomo had given up the nursery work and bought his first prime mover – a Kenworth K100E powered by a 410 hp ‘Red Head’ Cummins which he sub-contracted to Linfox, carting groceries. In 2000 the refrigerated side of Acacia Transport began to take shape when a contract with Franklins was secured. Mezzomo’s background as a mechanic is strongly reflected in the smart appearance of the fleet today and the no-compromise way it is maintained.